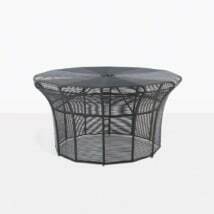 Wanting to create perfect sophistication in your outdoor setting? 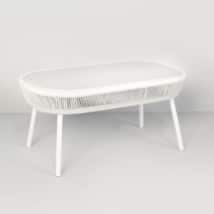 May we present to you the elegant and whimsical Poppi Wicker Coffee Table in White. 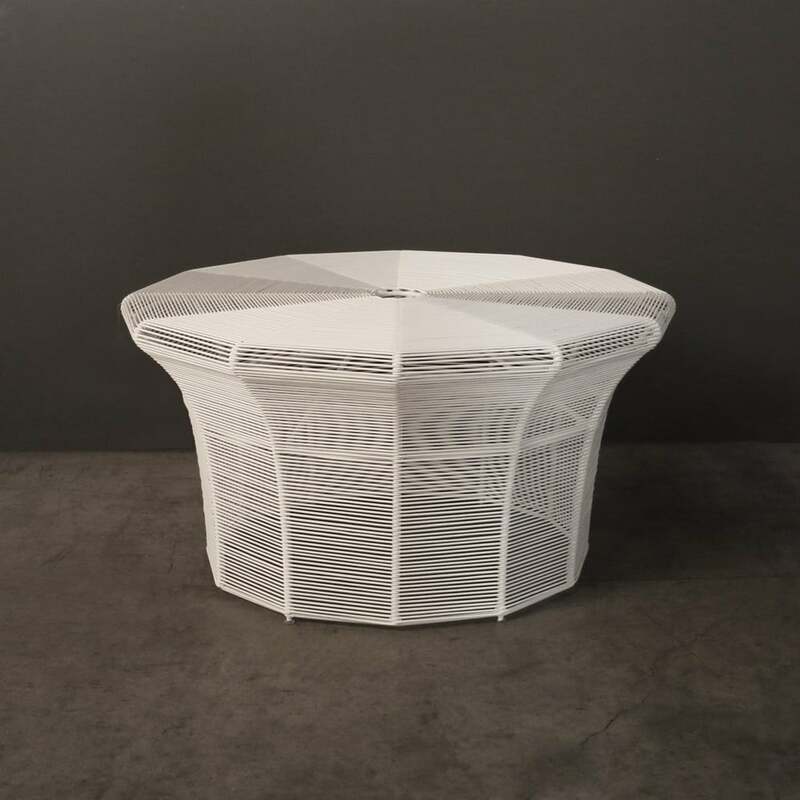 A dreamy design with top of the range materials, the Poppi Outdoor Wicker Coffee Table is a beautiful piece that suits many different styles of spaces! Poppi is about melding the old and the new… A wide rounded table top then curves in down to the base in an amazing fashion that is both unique and echoing outdoor furniture from the turn of the last century. Make a fantastic, timeless setting by making the Poppi Outdoor White Wicker Coffee Table your central focus. In the midst of your space, place Poppi, then surround with cushy, comfortable and robust furniture such as our Ibiza Collection for a modern twist on an already chic product. Perhaps you have a couple of white wicker relaxing chairs that need a spot for coffee and tea? Place Poppi in between to give you an incredible area that is relaxing and rejuvenating! 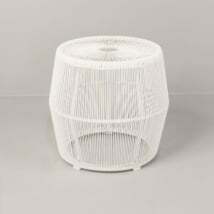 Also in the Poppi Range is a Low and Tall Side Table so you may add to your set to make a cohesive and attractive look in your outdoors. 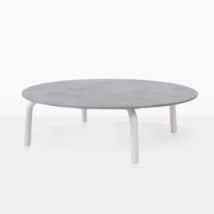 Featuring premium, top of the range outdoor materials, the Poppi Coffee Table is built on a lightweight yet robust powder coated aluminum frame, which deters erosion, corrosion and keeps your table looking at its best. Wrapped around this is the amazing all-weather wicker that continues to impress. Through dyed and treated for ultra violet rays means that the wicker on Poppi won’t deteriorate in the sun! An impressive body of materials for such a simple, stylish table! Teak Warehouse is the leader in all things outdoor furniture related! To order the Poppi Coffee Table and other amazing pieces from our collections, call us today! Our sales team are ready and willing to assist you in finding the perfect pairings!